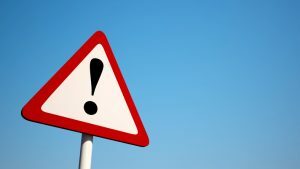 Marketing unapproved stem cell therapies and cGMP deviations have landed California’s StemGenex Biologic Laboratories with a US Food and Drug Administration (FDA) warning letter. The letter cites issues in good manufacturing practice (GMP) and the unlawful marketing of an unapproved stromal vascular fraction (SVF) stem cell therapy, processed from autologous adipose tissue. It was sent on October 31, following an FDA inspection at StemGenex Biologic Laboratories’ (SGBL) facility in San Diego, California in January this year. According to the Agency, the SVF product had been marketed to treat a wide range of diseases, including Alzheimer’s, Crohn’s disease, Type I and Type II diabetes, fibromyalgia, spinal cord injury, chronic obstructive pulmonary disease (COPD), multiple sclerosis (MS), muscular dystrophy, Parkinson’s disease, peripheral neuropathy, and rheumatoid arthritis. Furthermore, manufacturing deficiencies cited at the facility raised numerous safety concerns. “For example, SGBL’s unvalidated manufacturing processes, uncontrolled environment, lack of control of components used in production, such as the (b)(4) and lack of sufficient and validated product testing (sterility and endotoxin testing) … pose a significant risk that your SVF product may be contaminated with microorganisms or have other serious product quality defects,” the FDA wrote. In an FDA news release, commissioner Scott Gottlieb wrote that regenerative medicine has come on leaps and bounds over the past few years. Such “actors” are both endangering patients and “putting at risk the long-term viability of the industry and of effective products,” he added. The FDA has been proactive in bringing clarity to this relatively new field of medicine over the past 18 months. Last year it ramped up its guidance for tissue-based therapies and added a dedicated expedited Regenerative Medicine Advanced Therapy (RMAT) pathway for developers. It also ramped up its enforcement actions against clinics offering unapproved therapies, through both warning letters (an August 2017 warning for US Stem Cell Clinic of Sunrise, Florida being another example) and – in cooperation with the US Marshals Service – the seizure of unapproved products. “I’ve directed the agency to vigorously investigate these kinds of unscrupulous clinics using the full range of our tools, be it regulatory enforcement or criminal investigations,” Gottlieb said in August 2017.